What is The Message that Wild Animals Bring? My most profound experiences in life have all happened in nature. I can clearly remember the feeling as the breath caught in my throat when an enormous elephant bull walked up to my tent in the moonlight and placed his trunk on the canvas between us. He stopped to draw in my scent, leaving behind a stream of mucous to remind me how close he had been before he lumbered into the night. I had felt the presence of a wild, six ton elephant mere centimeters from my head with nothing between us but a sheet of canvas. It was pure exhilaration. 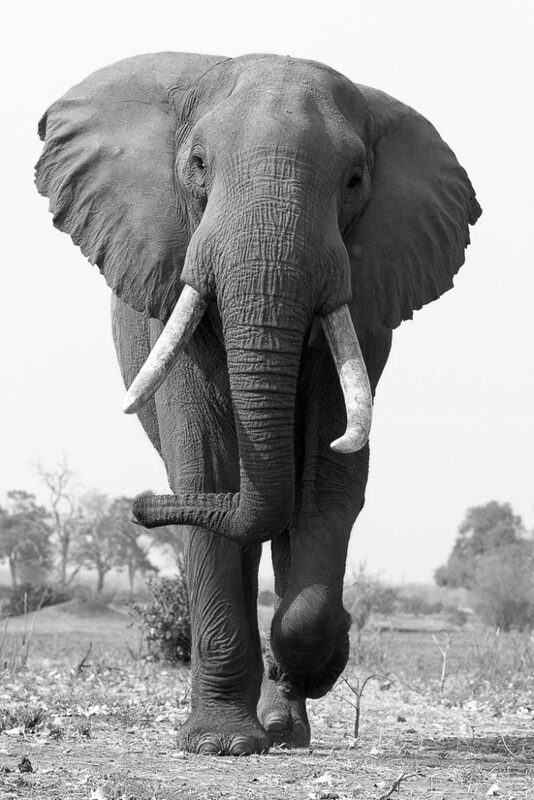 A large elephant bull photographed from a low angle to give the viewer a sense of its size. Imagine having a giant like this breathing just inches from your head. I remember the first time I heard the whooping call of hyenas as a child. They were interspersed with the melancholy of the repetitious good god deliver us from a fiery-necked Nightjar. When I sit quietly in the dark and listen now, their calls still taunt me, calling me into the night and the sense of aliveness that comes with danger, haunting and yet comforting me with the understanding that their wildness is our wildness too. 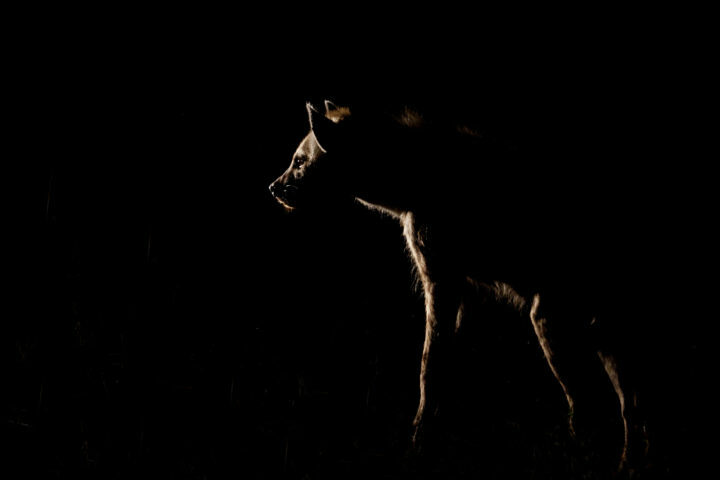 A hyena listens to the distant call of a clan member. These animals, although social and territorial will often head out to scavenge and hunt alone. 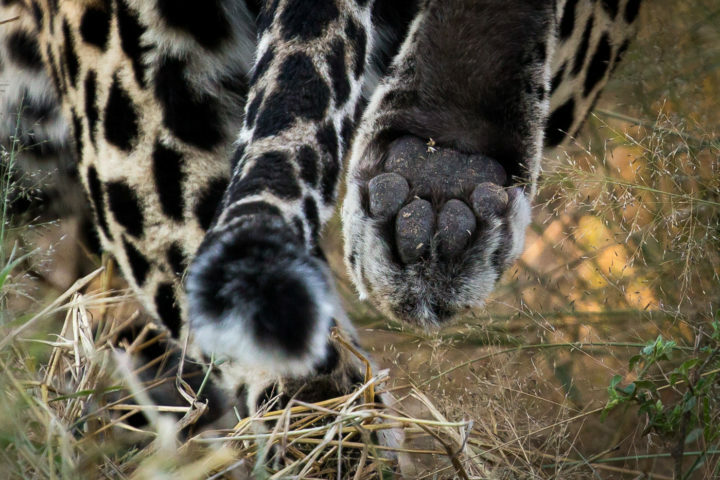 And I remember every time a leopard has chosen to walk within reach of me, showing its dappled coat, which speaks of a life of mystery. As their silent footsteps fall beside me and I watch perfectly designed muscles ripple beneath that coat, I am called home to myself. A leopard creeps past in the grass alongside the vehicle. Decades of trust built between humans and leopards has allowed for unparalleled viewing of these typically shy creatures at Londolozi. 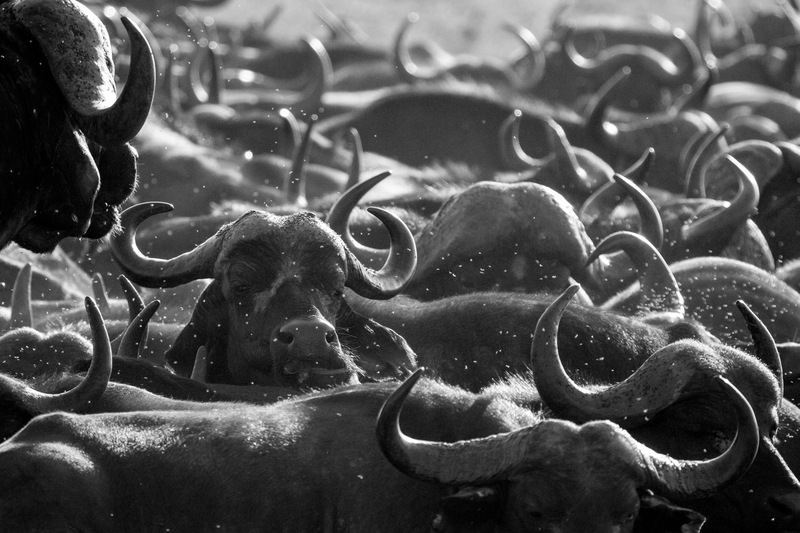 As I sit amongst a herd of a thousand noisy buffalo, moving in unison to a waterhole trailed by a cloud of disturbed dust, I am invited into awe and reminded that I am never truly alone. Reminded that I too fall into the grand mastery of nature’s intricate web. Buffalo bunch together closely as they rest in the mid morning sun. As a herd they will then move in unison to seek out water. These moments were not created by these creatures for us and yet in their complete oneness with themselves these wild animals are our greatest teachers. In a glance, a curiosity, the pitch of a call or the grace of a movement, they remind us who we are and who we want to be. They remind us of our goodness and our danger, of our power and most importantly, our wildness. on What is The Message that Wild Animals Bring? Makes me happy to hear Dawn! This piece was poetry. 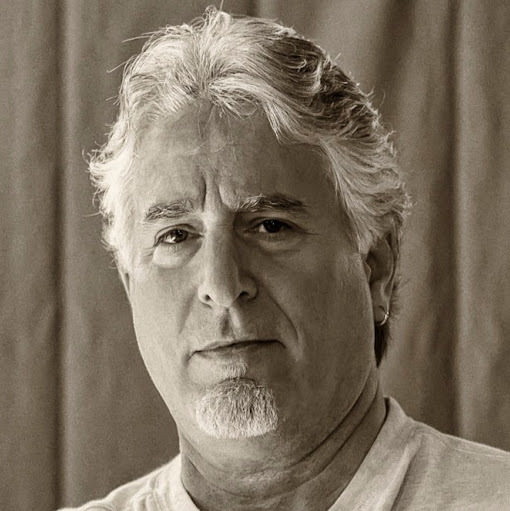 Thank you so very much for your incredible images and thoughtful experiences. Thank you Jazz! Really appreciate the comment! Please don’t ever stop writing posts like this. 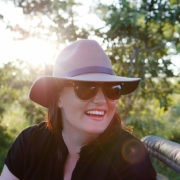 Fabulous blog Amy and beautiful pics to go with it. Another story well done as always. Absolutely beautifully written Amy! Thank you for sharing this with us. 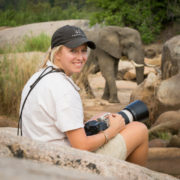 Amy all your photos and texts are brilliant.The way you explain the scary but thrilling moments with;the enormous elephant bull ,the silent walk of the leopard signifying powerful territory,the herd of the buffalo that show a strong family bond and the hyena whooping calls are just unforgettable.Bravo amy Bravo.